Cape Town – The backdrop, as the Lions brace themselves for the first of three Australasian tour fixtures in Super Rugby on Saturday, is vastly different from last year’s one. 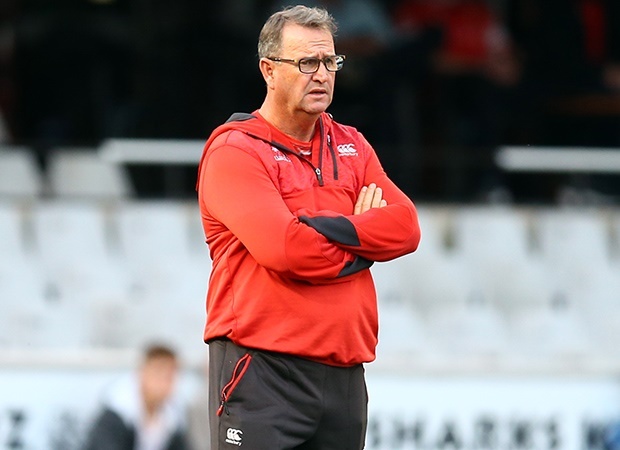 Although head coach Swys de Bruin is pinning his hopes on the camaraderie a long-haul trek can infuse in a squad, it is well less than ideal that they begin the 2019 roster – Brumbies, Chiefs and Crusaders, in that order – rather punch-drunk from a rare home pummelling at the hands of SA conference rivals the Sharks. It will be a notably contrasting way to kick off their tour from how they would have been feeling when they undertook last year’s. The 42-5 humiliation last Friday night was the Lions’ worst result at Emirates Airline Park since a 50-17 ordinary-season grilling from the Hurricanes in 2016 – the year that the Johannesburg-based team, then under the tutelage of Johan Ackermann, nevertheless went on to reach their first of three consecutive finals. The ‘Canes were their very same opponents in the later showpiece then, although the Lions put up an altogether sturdier, pluckier showing in the “Cake Tin” climax to the competition, before succumbing 20-3 and being right in the game until an advanced stage. But the bumpy ride (four wins, three losses) the Lions of 2019 have experienced thus far, including the galling events of Friday, does little to suggest they are ready to rampage their way through Australia and New Zealand over the next few weeks. The only blessing, perhaps, is that theirs is a shorter tour of those climes than certain compatriots have this year – the Stormers and Bulls both sport four-game itineraries – so there will be less of an excuse for travel fatigue towards the end of it. Indeed, they might be wise to especially “target” the first two fixtures, in Canberra and Hamilton respectively, as the tour closer against defending champions the Crusaders in Christchurch is naturally a stinker on paper and their first meeting with the iconic Cantabrians since surrendering the 2018 final 37-18 at the very same AMI Stadium. Both the Brumbies and Chiefs have been fickler than the Lions in results terms this season, with only two wins each to show thus far (though the Mooloo Men also sport a draw) and in unusually low terrain for either on the current overall table – Chiefs 13th and Brumbies 14th with only the Sunwolves below them. Still, the nought-from-three status so far of the country’s first Australasian tourists of 2019, the Stormers, is a sharp reminder that wins there have never grown on trees for SA teams: they almost always have to be at their most bloody-minded and fired-up to eke them out even when such results do occur. It is difficult to consider installing the Lions as favourites, frankly, for either of the first two encounters despite their considerably loftier (seventh) log position to both looming adversaries. De Bruin, however, might be well-advised to remind his charges of how stirringly they began their 2018 Australasian tour: in one of their most dynamic and purposeful performances of the season, they stunned the Waratahs 29-0 in Sydney, and by four tries to nil. The trip notably petered out from there, although they banked a losing bonus point in a tense 27-22 reverse to the Reds before getting nothing from successive clashes with the Hurricanes (28-19 loss) or Highlanders (39-27). Perhaps that rousing first showing, though, was triggered by the fine fettle in which they had left SA shores on that occasion. Admittedly helped also by the freshening benefits of a bye immediately preceding the tour, their previous match had seen them elegantly dispose of the Stormers 52-31 in the Big Smoke, running in eight tries in the process, so they got on the plane oozing confidence. Circumstances are, regrettably, so different for them on departure this time, instead nursing the mere few days’ old bruises of a 37-point home defeat. Get smashed all over again by the Brumbies on Saturday (11:45 SA time) and even this shortish tour runs the risk of suddenly seeming “long”. The Lions, bullied in so many departments by the Sharks, need to throw some stinging leather in Canberra as a swift response.